New serger, lets learn all there is to know about it. From a basic 4thread to the 8thread, you will learn it all. The first 2 hours covers the 4thread overlock, flatlock, rolled hem, sewing on knits, sewing on a curve. Also how to balance tensions. Now if you have a serger that does the 5thread safety, cover hem, chain stitch, etc. in the last hour you will explore these techniques. 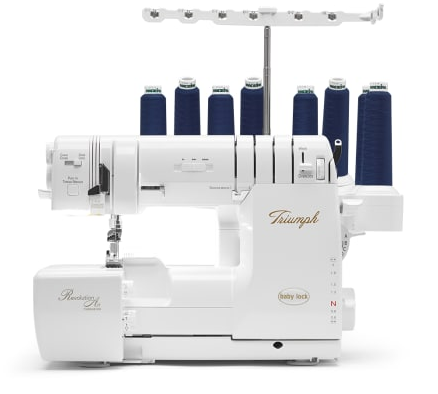 This class is free to anyone who purchases a serger from NSV. If not purchased from NSV a $45 fee will be applied the day of class.